Fall is approaching and that means beautiful colors, cozy sweaters and delicious apples. What better way to celebrate the upcoming season than with a new release from The Harmonica Pocket. 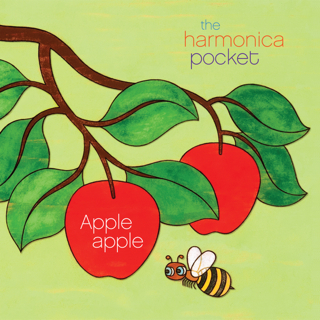 Apple Apple, the third children’s release from The Harmonica Pocket, is a melodic dream. The eloquence with which the words and instrumentation flow throughout the album leave you feeling like someone just whispered a gentle lullaby in your ear. It’s very sweet and the stories these songs tell contain simple words and familiar concepts which the wee ones should easily identify with. The Harmonica Pocket is primarily made up of Keeth Apgar (main vocals, master songwriter, multi-instrumentalist) but also features a regular group of folks, one of which includes partner, Nala Walla, who delivers rich harmonic vocals throughout the album, as well as, fellow Seattle-based Kindiependent artists such as Johnny Bregar (banjo), Jack Foreman from Recess Monkey (bass throughout) and Caspar Babypants (vocals). The recording of this album, as well as their previous albums, took place in a solar powered studio on a tiny island in Puget Sound, Washington. Many of the songs on Apple Apple are like poems, with each line complementing the one before it. What I particularly love about the album is how it plays with linguistics, character development and timing. The songs are multi-dimensional, containing carefully paired lyrical and musical melodies. The instruments in many of these songs are just as important as the words, often times acting as another voice with the pluck of a chord or the warm, rich tone of the saxophone at just the right time. They even serve to heighten a climatic moment within a song just by a change in time signature. A great example of this is in “Afraid of Heights,” a beautiful song about a bird who comes out of its shell and is afraid to fly. The song starts in 4/4 time and makes a transition to 3/4 time when the bird sees the sky, faces its fears and flies. It’s this simple change that evokes a feeling of exhileration that comes from overcoming your fears, just as the little bird did. The sentiment behind Apple Apple is somewhat different than the previous, highly acclaimed “Ladybug One” as both Keeth and Nala have become parents. As a result, several of the songs, i.e. “Diaperman,” “Monkey Love,” “Reflections” and “Little Baby,” to name a few, are inspired by this new development. The songs carry a calming, chilled out vibe with some notes of folk, jazz, pop and even some reggae. 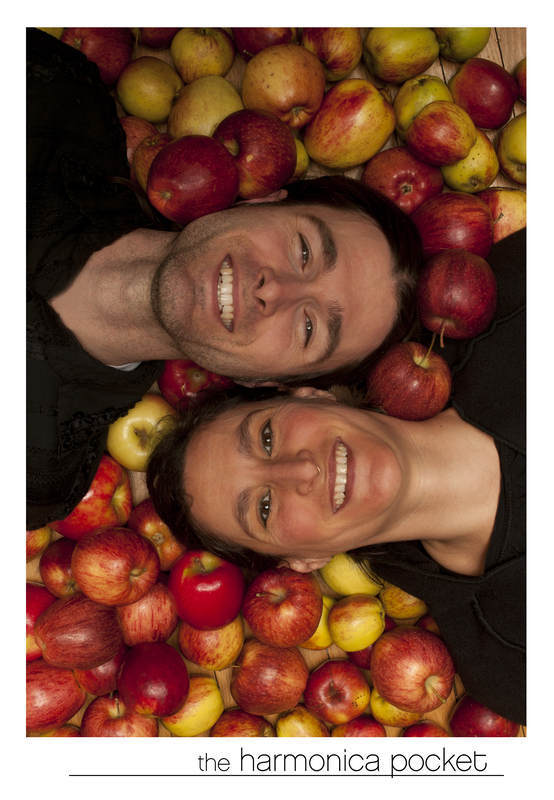 In addition to apples, the album covers a variety of topics. There is counting in “I’m Gonna Count” which invites listeners to count stones on the beach by single digits (1, 2, 3), leaves on the trees by even numbers (2, 4, 6, 8) and stars in the sky by 5’s (5, 10, 15, 20…) and syllabic playfulness in the title track “Apple Apple” where each word is broken up and sung with one syllable. It’s a great game to play with the actual lyrics of the song, but also in making up your own words. It’s always good for a few laughs. Em particularly gets a kick out of the baby tooting in “Little Baby” and laughs with a slight squeal after waiting for it. She knows it’s coming and waits in anticipation with a smile, repeating “just wait, it’s comin’ up, it’s comin’ up, the baby’s gonna toot!” until she hears it. Other notable songs include one of our favorites “Monkey Love,” features Caspar Babypants as Monkey two. The song basically uses the word Monkey repetitiously to tell the tale of three monkeys who come together and become a family. “Monkey one Monkey two Monkey three/Monkey me Monkey he Monkey she/ Monkey love Monkey we Monkey be family….” “Turkey in the Straw,” one of my personal favorites, is a slowed down rendition of the original with a funky kind of groove. Rounding out the album are some slower songs which make perfect lullabies and embody the love that Apple Apple was premised on. ‘Reflections,’ for example, was written while Keeth was out walking with his son, sometimes in the middle of the night or early in the morning, to help him fall asleep. I think most parents should either relate to or remember this very vividly. Apgar, along with the rest of The Harmonica Pocket contingent, create a rich environment that carries the message of love, acceptance, wonder and respect for the world around us. Apple Apple is sure to be enjoyed by the 0 – 5 crowd and their grown-ups. Without a doubt one of our favorite albums of the year so far. I encourage all of you to tempt your palate and take a bite out of this record. It will absolutely satisfy your “aural” taste buds. Copies of the album are available at CDbaby.com and KidzMusic.com. 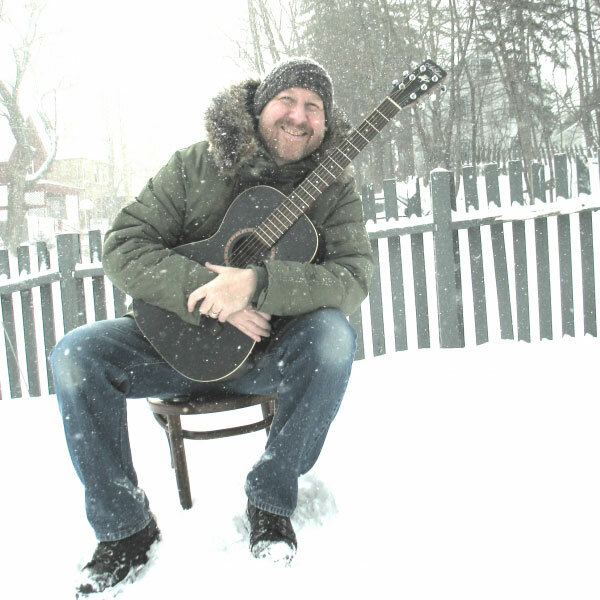 Individual songs and album downloads can be found at the aforementioned sites as well as iTunes, Amazon.com, Rhapsody.com, eMusic, Spotify and many other digital download stores. You can also “look inside” the album here, find lyrics and read about the songs’ stories here. Highly Recommended. Full Disclosure: I received a copy of the album for possible review. The thoughts and opinions expressed in this review are based solely on my honest opinion.